Please remember that what has become a routine dialysis treatment for you, may be the first time I am experiencing it. When you are hearing my story, please listen to what I am trying to tell you. If necessary, ask questions to clarify my explanation’ but please, accept my answers and do not substitute answers you want to hear. Please do not ignore my substantive input while you are trying to diagnose a problem. I may know much about the subject. Please be optimistic and use humor whenever possible. construe them to be a challenge to your expertise. I respect you. I expect no less in return. Please honor my assessment of the pain, stress and restricted diet that kidney disease requires. I do not ask you to empathize or sympathize, but I do ask you to be considerate of the loss that I am feeling. 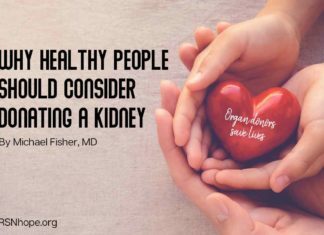 Please teach me where the necessary tools to deal with kidney disease are available⎯such as education, support and positive ways to communicate with healthcare workers. Please respect the time that dialysis takes from my day and the challenge of sitting in a chair for four hours. In addition, offer me home treatment options and have in-center schedules after or before work hours so I may stay employed. At times I may look to you for assessment of what my future holds. Please always have a higher expectation than I have. Please strive for intellectual honesty and professional integrity as you struggle to balance the conflicting concerns of cost containment and quality care. 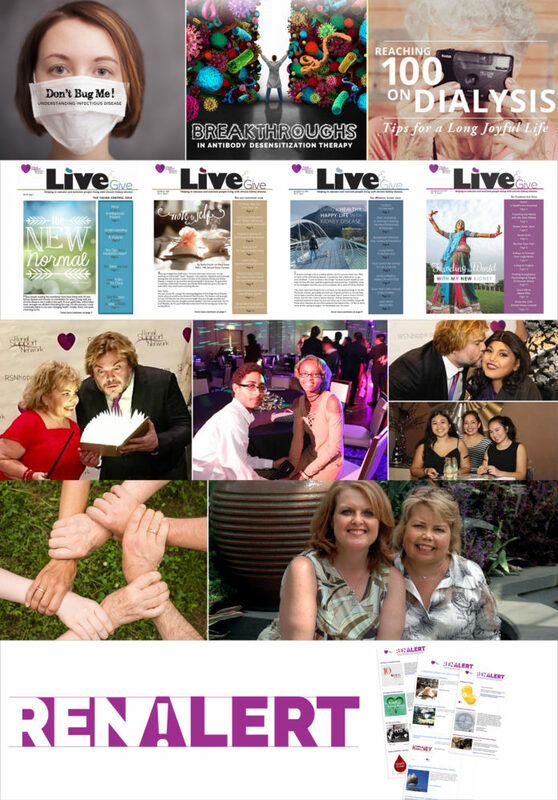 If I am terminally ill, please honor my advance directives. Please do nothing to prolong my life or my dying. And especially, please provide effective relief from pain and suffering. 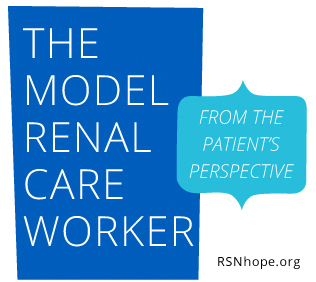 If you would like to share “The Model Renal Care Worker: from the Patient’s Perspective,” please feel free to download and print the PDF.